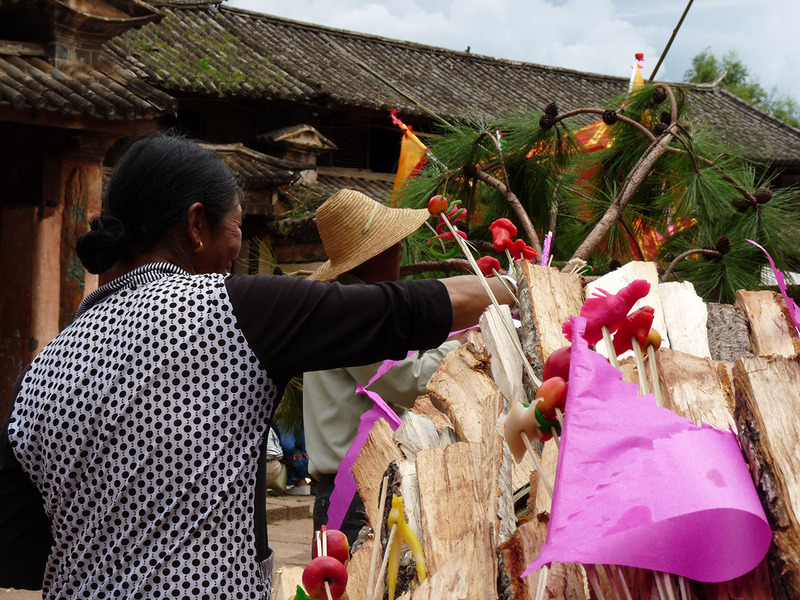 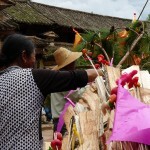 On the 24th day on the sixth lunar month, the Bai people of Yunnan province celebrate the Torch Festival. 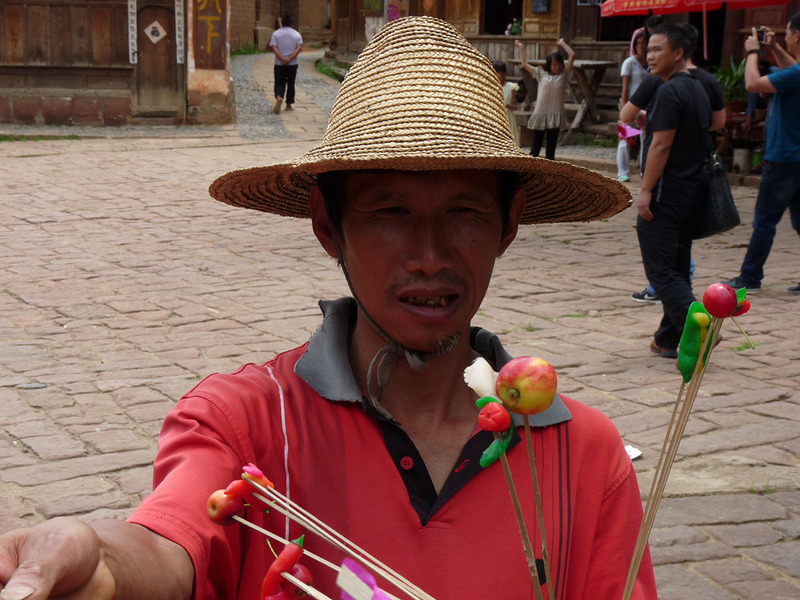 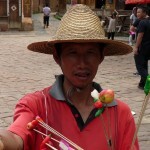 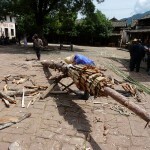 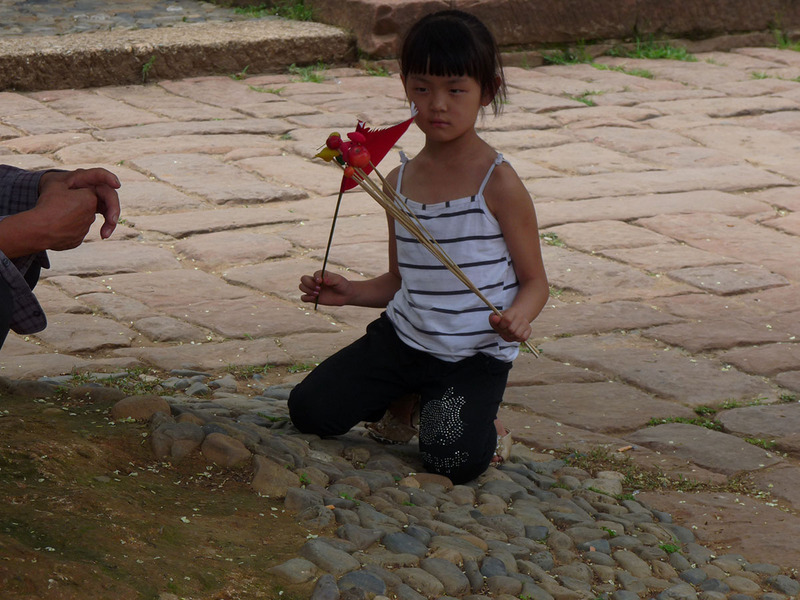 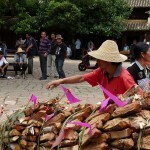 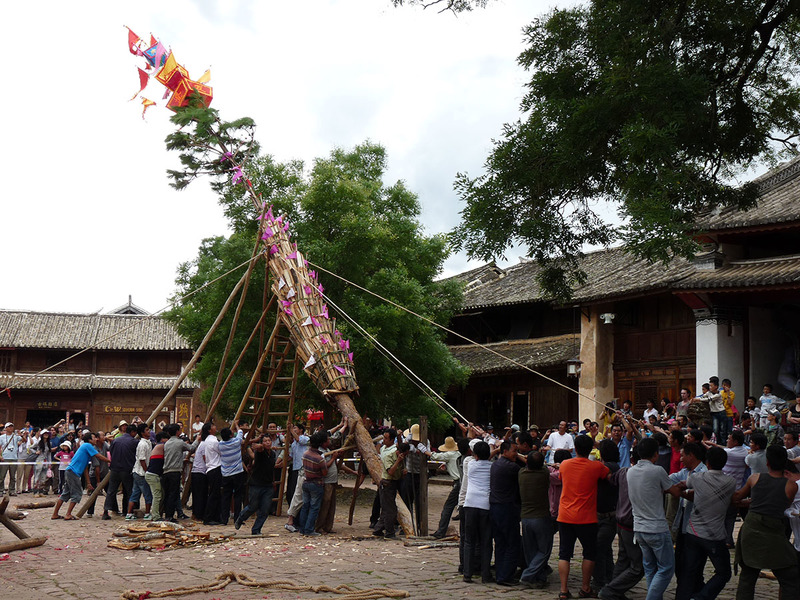 It is also celebrated by the Yi, Naxi and Hani but in Shaxi, it is a Bai affair. 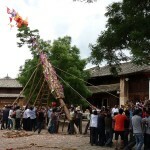 Each of these people have different reasons for observing this celebration but for the Bai it celebrates the events surrounding the founding of the ancient Nanzhao kingdom in the 8th Century. 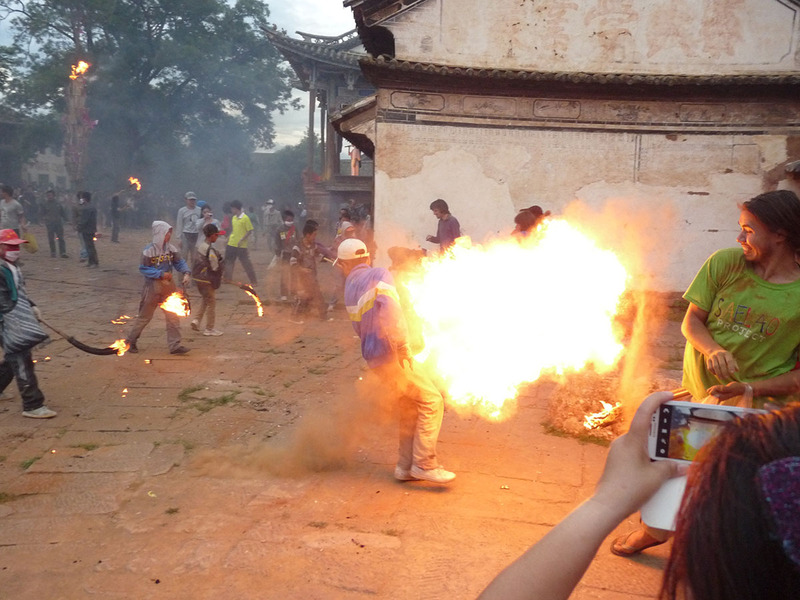 Legend has it that a prince called Piluoge invited his rivals to dinner in the city of Dali and when they were all inside the tent set aside for the event he trapped them, setting fire to the structure. 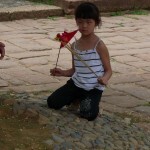 They all perished and with them out of the way he created the Nanzhao kingdom whose influence stretched throughout much of modern day Thailand, Burma and Vietnam. 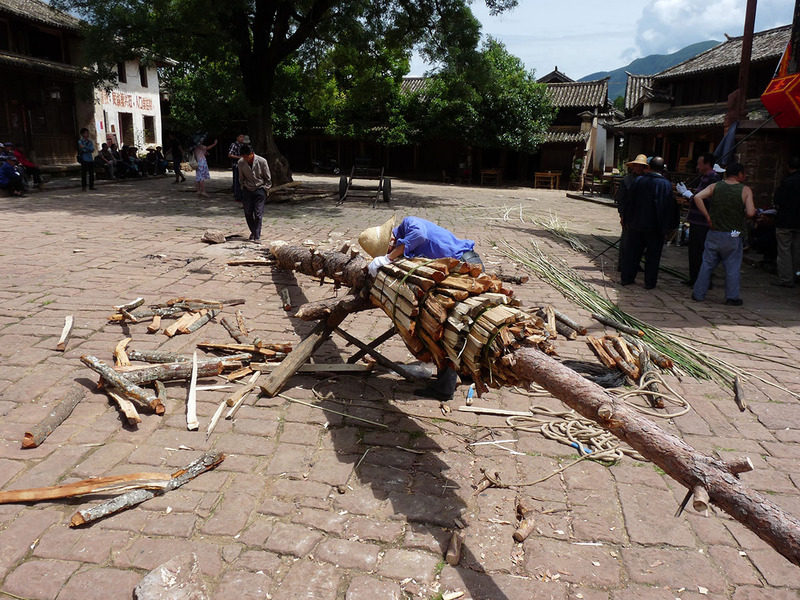 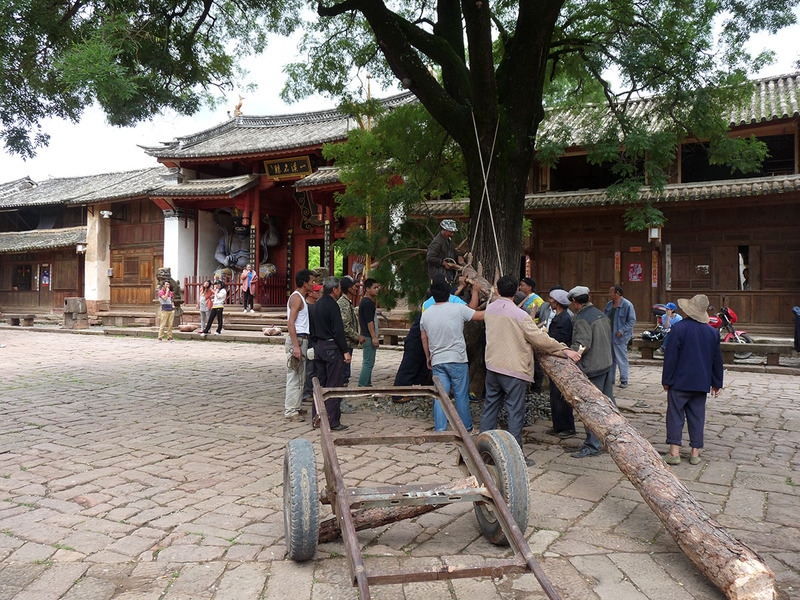 Today the event is commemorated with the burning of a torch which, in Shaxi, and the surrounding areas is a pine tree stripped of all but the upper branches and then covered with small pine planks,topped with flags and erected in the centre of the town square. 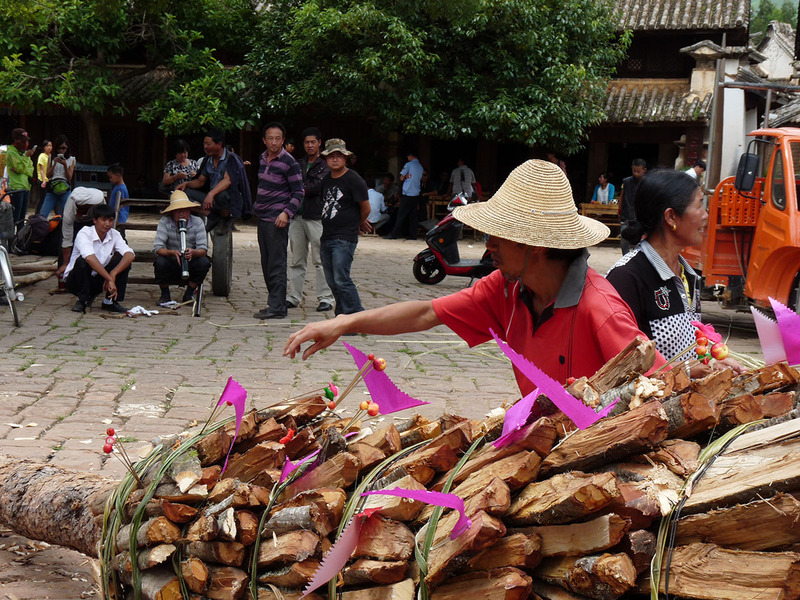 Small offerings made from sugar and in the shape of foodstuffs and small creatures are affixed to the torch and as night approaches it is lit amid the din of firecrackers and soon after the hurling of gunpowder begins. 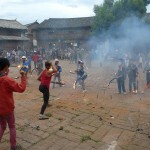 Nobody is safe, not even the local law enforcement as children (some of them frankly very old children) light torches made from rubber tyres and fling gunpowder through the flames at anybody foolish enough not to be on their guard. 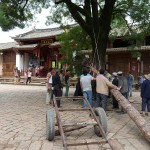 It starts fairly gently and reverently until everybody is tearing about the place. 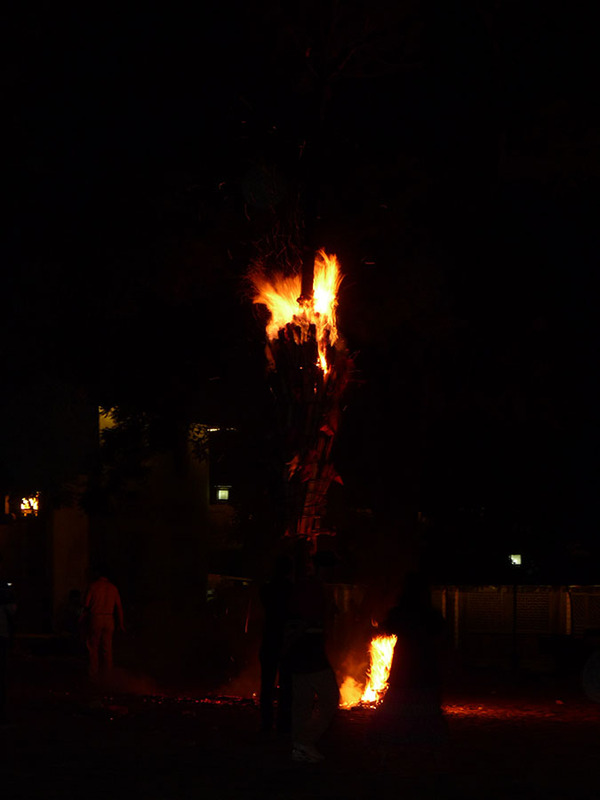 This year a Mexican standoff between the residents of hostel HorsePen46 and local children lasted until the residents of the hostel withdrew and chaos ensued. 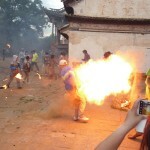 It really is a great fun spectacle and hardly anyone was too badly burnt! 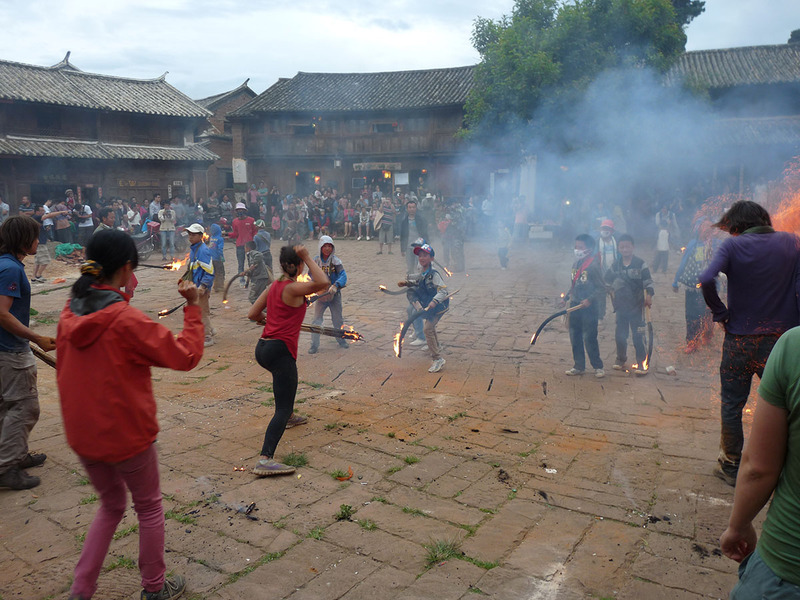 The evening ends in a reflective and much more relaxed fashion as local shamans watch the torch finally burn out and determine the fate of the harvest based on how the embers burn out in a mostly deserted square. 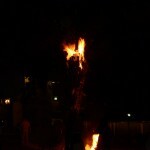 The next day all the evidence that remains is the charred pine and the gunpowder coated clothing of all those present.